That's sure to make all those law & order types real proud. I'm sure Mr. Zeitoun rues the day he ever decided to immigrate to Amerika. For the life of me I can't understand why ANYONE would view this country today as the Promised Land or the Land of Freedom and Opportunity. Syria couldn't POSSIBLY have been any worse! Lincoln’s treatment of thousand of dissenters during the War for Southern Independence, Wounded Knee, Waco, Ruby Ridge, Japanese and Italian American concentration camps during WW-II, the Trail of Tears, the Oklahoma land rush, the San Angelo, Texas, Mormons … those are examples I can think of just off the top of my head. The government doesn’t love you. You only exist to pay taxes and vote. You don’t have to do anything illegal to be imprisoned or killed. You just need to be associated with the “wrong” people or refuse to chip the corners off your square peg in order to fit the government’s round hole. You no longer own property, you merely rent it (pay taxes) from government. You no longer own even your own life or the products of your labor. If you cannot afford private schools or cannot home school your children and have turned them over to public education, you no longer have children or control over them. On top of all that, there are damn few legislators who give a fat rat’s behind about the Constitution and have no compunctions about saying so. No? It already has happened. liberranter, there is a section in Eggers's book describing a family trip to Syria, and the surprise Kathy Zeitoun experienced upon learning that -- who'da thunk it? -- that country is really not the dismal totalitarian hellhole of neo-con propaganda. Sure, it's ruled by a loathsome government, but what country isn't? Ironically, I just learned that an acquaintance of mine, Bryan Fischer (now with the American Family Association) has demanded that all Muslims who don't convert to Christianity (as he understands it) be forcibly repatriated to their home countries because they're not "true Americans" and don't appreciate the "freedoms" we enjoy here. Heh. Man I read your articles an I become severely depressed. Why am I still in this country I ask myself. Why stay? Exactly! As one who has lived and traveled extensively throughout the Arab East (though not Syria), I can state without hesitation that the U.S. government's characterization of these nations and their governments is pure, unadulterated propaganda! Anon 2:47, you ask "why stay" in Amerika? That's a good question, one that I ask myself all the time. While each of us must answer that question in our own way and base our decision to stay or leave on our own goals, values, and belief systems, my own answer is this: Because it's MY country and I am NOT going to let those f***ing criminal bastards destroy it! Much as one half of me wants to pack a BOB* and get the hell out of Dodge at the first opportunity, my more rational (?) and principled half tells me that 1) running away will solve nothing, 2) beautiful as the rest of the world's nations are, they simply don't have the traditions and historically ingrained institutions based on freedom that America traditionally has had, and 3)last, but not least, it would be a crime to be one of Edmund Burke's "good men who do nothing." Yet another excellent expose of the dark underbelly of the State. Reading that bit about people getting shot in New Orleans (something that I've not heard about until today) and I'm reminded about whats been happening lately overseas. Just cruise over to Yahoo news and read the comments about the WikiLeaks video related to the gunning down of people in Iraq and you'd swear the people vomiting forth comments such as, "Good kill... Clean kill... Within the rules of engagement... Leakers are traitors.." ad-nauseum and you'd swear you could hear goose-stepping sturmtruppen and a military brass band right outside your front door! These "Americans" scare the bejeeesus out of me. And coming from a family that has lived in Germany, and experienced the war first hand, I can tell you that I don't recall ever hearing them boast about putting people into the grave like these bloodthirsty bastards. Do I want to leave this country? Hell yes! I have kids that I want to keep out of Uncle Sammy's bloody clutches and that's damn well good enough for me. Oh, by the way, a Christian author that I met years ago, and in whom I have the greatest respect, told me that while visiting in the Middle East it was the Muslims who treated him with the greatest of kindnesses. The tales he could tell. And maybe he is unique, though I think not, but the point being is that people are being demonized in the most un-Christlike manner by the very ones who claim to be the Churches "shepherds". And that clearly is a lie! 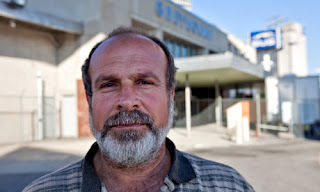 The Greyhound Station Gulag... That is pure crazy. I'm not sure I can see the world or bus terminals quite the same again. It's as if the bad characters Bruce Dern played in the movies were in charge at every level. And as far as that comment one person had about packing a B.O.B. You're already supposed to have your B.O.B. packed. I just sent the link to this to my County Sheriff. Been educating him since we got him elected last November. Great article Will....more examples of why it is foolish to entrust one's safety, security, or well-being to State. Katrina was full of these types of tragic examples. It's telling that, of the many examples Katrina gave us of both the best and worst that humankind has to offer, the very worst came from the government. For those that have not read it, Lew Rockwell has an excellent chapter titled The State and The Flood on this topic in his book The Left, The Right, and The State. And about leaving the country, there isn't really anywhere else to go. For example, I live in Canada - therefore my bug out bag could not include firearms. Has no one read "Gulag Archipelago"? Tyranny cannot triumph if all citizens resist with brutal, fearless and total violence. The groups of thugs must be demoralized by losing members every time they go out on a mission. Fight and perhaps die (perhaps survive) or be killed in a gulag. We need to all get on the same mindset. Like in boot camp..slam your fist and scream "KILL". Die as a warrior, or die as a prisoner. Resistance is imperative. There are options between abject submission and desperate violence, however. Great piece, Will. Yet more confirmation of what the reality of Amerika is, as if we (here) really needed it. Contemporary Amerika isn't, and hasn't been for some time, the America of yore that Mr. Zeitoun must have assumed when he emigrated from his native Syria and decided to immigrate to Amerika. Yes, the government is always a problem anywhere to some extent and has been throughout the ages, but it becomes a MUCH more hellish problem in a country founded initially on the basis of self-government when its people by and large can no longer self-govern for whatever reason(s). I guess America's founding fathers were horribly mistaken in believing that the lowly commoners could remain morally astute enough, vigilant enough - thereby retaining the ability to self-govern adequately to sufficiently contain government overreach. Obviously, in hindsight, they were proven dead wrong. The aggregate character of the populace has sunk to a level of decay today that I think many if not most Amis, especially the younger set, would be shamelessly content living and slaving in a damned gulag if their only "freedoms" consisted of imbibing, copulating, smoking grass, and perhaps - as a "bonus liberty" - being allowed to watch state-sanctioned triple-D (depraved, debauched drama) flicks on the idiot box. Hell, they'd think that heaven (no pun intended). Let's face it and not kid ourselves, the commoners are not aghast and repelled by Leviathan's regulations and/or prohibitions in general and abstractly, but rather only with its regulations and/or prohibitions of mind-altering substances and vices. They aren't having conniption fits about tobacco restrictions, after all, but reefer is another story. They generally oppose taxes, yet on the other hand the majority are heavily dependent on Leviathan's generosity with other folks' bread. The bottom line is that they don't give a rat's derriere about genuine freedom. Heck, even in an otherwise bona fide totalitarian state (NK being a possible exception), folk generally have the "freedom" to pursue self-gratification, the corruption of the mind and body in myriad ways, thus making them easily malleable pawns for the state's ends. In my mind, anyway, death would be truly liberating in such an environment. Folk may screech "Freeeeeeeeeeeeeeedom!" loudly and frequently, ad nauseam, but I really believe most do not mean true [properly bridled by self-control] freedom (to associate (or to not associate) with whom one wills; to worship (or to not worship) as ones conscience dictates; to speak, write as one wills; to possess arms if/when one wills, so forth and so on. Welcome to the modern sissified, stupified, sanctimonious, heavily dependent, increasingly effeminate, and thoroughly statist Amerika, Mr. Zeitoun. You've already experienced your baptism of fire while most of the natives are oblivious and still awaiting theirs, ironically. But alas, don't be dismayed, we natives in the aggregate will receive our whirlwind comeuppance soon enough. It's gettin' to the point where those harboring an unshakable, absolute concept of right, wrong, good, evil must eventually draw a line in the sand signaling what they'll accept or reject, regardless of the contemporary state mandate in force at the moment and, likewise, thus face the attendant consequences. Thanks for another piece of real investigative journalism, which is so rare these days. Keep up the great work. There doesn't seem to be a shortage of material to work with, unfortunately. This may be a little OT but I feel I have to address a few things. In light of the despicable way in which the neocons insist that we must go to war with virtually every Muslim country, it's tempting to let the pendulum swing to the other extreme and start to see Islam as goodness and light. This is a mistake. Remember that Rifqa Bary still lives under the threat of honor killing from her own father, that Nadal Hasan shouted praises to the Muslim god before he opened fire, and that Danish cartoonist Kurt Westergaard must live in a fortress for the great sin of drawing a cartoon of Mohammed. And remember that George Bush himself insists Islam is a religion of peace. Yes, there are Muslims who treat everyone they encounter with respect. There are also Muslims who demand the head of any who "insults" Islam. (I have myself spent some time in the Middle East and can think of very few positive things to say about it. Syria might not be a nightmare country, but Saudi certainly is.) And a fundamental part of Islam is the implementation of Shariah law, which is itself at odds with all the notions of liberty espoused in this blog. When it comes to contempt for this government and George Bush, I bow to no one. But I also know that the enemy of my enemy is not my friend. 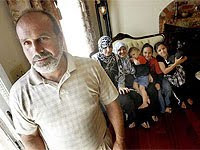 The fact that Mr. Zeitoun was treated in such a despicable manner does not change the fact that Islam properly understood is just as antithetical to the American way of life as the criminal state is. What govt does best was on display after Katrina. Too bad most will not see it for what it is: tyranny. The LA legislature passed a law after Katrina that LA citizens COULD NOT BE DISARMED in a catastrophe as a result of the actions of many after Katrina. There are no exceptions. "Law officer" or citizen, in LA during a catastrophe, can be dealt with forcibly with no consequence in the event of an attempted disarmament. In the end, govt is an entity with the monopoly on force and to allow unbridled power to such an entity is sheer ignorance or overt lunacy. This is why we have what we have today. We have allowed the unbridled growth of the state, never bothering again to check on how this force is employed. The silver lining: no matter how powerful and cunning the practitioners, tyranny always comes crashing down. The chinks are appearing in the armor of leviathan. Van Wijk said... raised a very good point. That it is too easy to paint idiotic and murderous idiots with too broad a brush. It's all too easy to do and even I have caught myself, out of frustration, doing likewise. Still, the ones shouting the loudest, from the biggest pulpits, whether political or religious, are the ones doing the damage. The good folk are usually the quiet ones who go about their business guided by an inner compass that doesn't shout from the roof tops. Yes, there are Muslims who treat everyone they encounter with respect. There are also Muslims who demand the head of any who "insults" Islam. Kirk, I wasn't aware that the Louisiana state legislature, probably for the first time in its corrupt and miserable history, did the right thing and passed legislation prohibiting the disarming of its citizens during "emergency" conditions. Let us hope that the other 49 states follow suit. We can only hope that FEDERAL viruses (i.e., FEMA and the federalized "national guard") that appear during these situations like buboes during a plague outbreak will respect such state laws, but I'm not counting on it. I have ordered the book. It appears that some have accused the writer of exaggeration, or that Zeitoun isn't telling the truth. Inteestingly, he hasn't filed any federal lawsuits in the matter. I wonder whether there is any way to confirm his claims from other sources? None of what is claimed would surprise me, but we'll face a lot of scepticism if we try to promote the incident without corroboration. "Kath and Zeitoun had no intention of suing anyone over his arrest. They wanted it past. But friends and relatives fanned their outrage, and convinced them that those responsible needed to be held accountable. So they hired a lawyer, Louis Koerner, to pursue a civil suit against the city, the state, the prisons, the police department, and a half-dozen other agencies and individuals. They named everyone they could think of.... They were told by everyone who knew anything about the New Orleans courts to get in line. There were hundreds, perhaps thousands, of cases against the city, the federal government, FEMA, police officers, the Army Corps of Engineers. Three years after the storm, few of the lawsuits had gone anywhere." Incidentally, Eggers is donating his earnings to a non-profit civil rights foundation started by the Zeitoun family. Perhaps I should add, a B.O.B. is not just for "leaving the country" as the stereotype might imply, the same with an E.D.C. bag (Every Day Carry) they are useful if you wind up in a camp similar to the Grey Hound camp, one for "willing refugees" and B.O.B. 's are perhaps a lifesaver to grab on the way out the door if something like a fire broke out, or CPS were on their way. If this blog entry, and the Katrina website above didn't convince you, and websites like Ferfal don't sway you, I don't know what to say. If you cannot have a firearm in your B.O.B. or EDC, for whatever tyrannical-like reasoning, having a knife is better than having a gun in some situations, say, less than 20 yards, at that distance a person with a knife has the edge over a criminal with a gun unless it's pointed directly at them. Or so say the experts. Or a machete is good too, and if anyone needs any weeding done you can make them happy and get a workout at the same time. It might even be useful for when wild animals attack, like what Ted Nugent wrote a short article about. Hacking an attacking alligator-cougar with a machete would be some feat. Another thing a person might have in a B.O.B. or EDC bag is a two-way radio. When the cell phones don't work, "Some cops are heading this way" would give a loved one a clue as to where you disappeared to? Maybe? Some things to think about, that's for sure. "And thus you become one of those people that we all used to puzzle over, the accomodationists to brutal tyranny: "How did all those people go along with the Nazis? Why wasn't there more opposition to Stalin? How could they countenance all those obvious abominations? What kind of people were they?" Now you know. They were you. You are them." Unless and until people start paying heed to some of the stuff that Jefferson wrote (I am thinking here about the tree of liberty being refreshed from time to time with the blood of tyrants), and making scum like these thug-drones pay, NOTHING WILL CHANGE. As an ardent advicate of Jim Bell's "Assassination Politics" (dumb name, great idea) I think that more folks ought to join freenet and find the betting pools. Note that Bell's market does not necessarily require that the bet be about when a thug-drone loses his life - loss of the use of a hand or eye would concentrate their attention (and that of their colleagues) adequately. OK, it must be in state court then, because there's nothing on the federal docket. Seems like his case would have ended up in federal court if he named even one federal defendant. For the cops involved: Fair trial, public execution. For the National Guardsmen involved: Article 32 to Article 37 to public execution. Some stretched necks would be most instructive. Let's see if Governor Jindal has a pair adequate to the task of holding uniformed terrorists accountable for their actions. This is a case in point why We the People should be armed to the teeth. To protect ourselves from criminals, be they the garden variety crooks or the criminals that hide behind badges. And I do *NOT* mean get a gun permit and register your gun. I mean you have the *RIGHT* to keep and bear arms *WITHOUT* anybody's permission. Then, in case of the next disaster, if you stay home, bolt your door, put a warning sign on it, don't answer it, then if someone breaks in and won't leave on your command, BLOOEY!